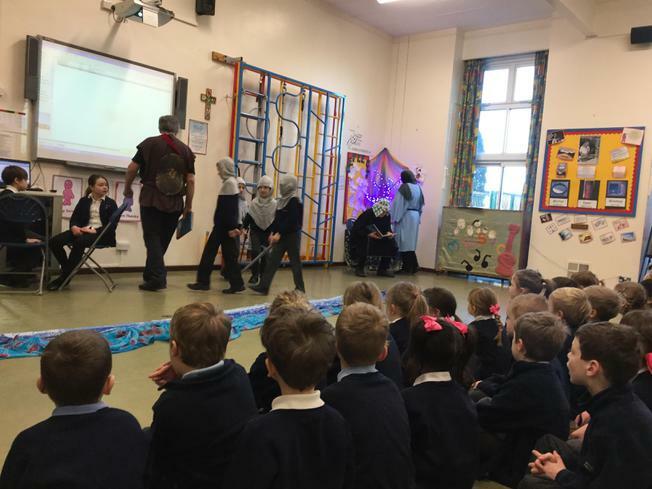 The Open The Book team started off our collective worship beautifully for us on Wednesday by sharing the story of Naaman. It was good to see how perseverance helped Naaman get what he wanted and also gave us a chance to reflect and say a quiet thank you to those who help us when we are feeling ill.
Our Christian Value this half term is perseverance and we have heard a lovely story from Mrs Grice this week all about this to help us understand how important it is to endure and persevere. 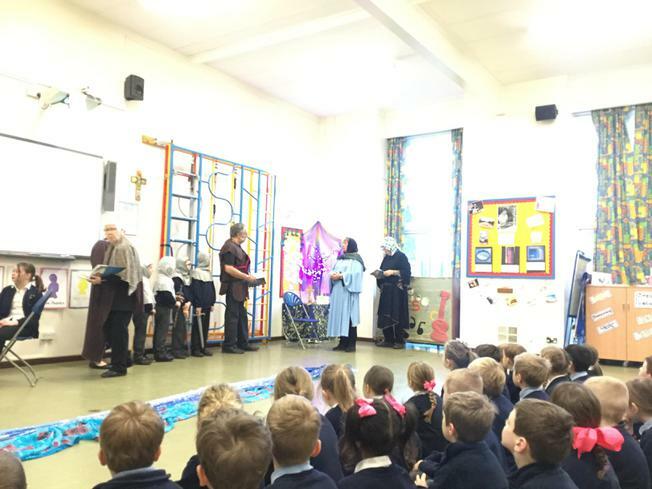 A lovely start to our term's collective worship.